With the snow recently melted, the first crocuses that break through packed patches of dirt seem, in a word, impossible. I am awed that nature understands how hungry the human heart is for the green promise of growing things. Those tender, fierce flowers awaken a yearning I barely notice at other times of the year. Still, I keep pushing and prodding up until the day they submit a final assignment. Their challenge is to tell an extended, multi-dimensional, nuanced story; to avoid demonizing one stakeholder over another; and to reach for promising solutions—case studies, prototypes, models, social experiments, moments of insight— real news stories of real people who expend energy in efforts to heal and solve some of the greatest challenges of our day. And, behold, the crocuses start to emerge. I offer results of this pedagogical experiment: student stories that point to possibility for new media. These are the green and growing insights of a new generation of young writers. You will notice a range of voices: some with sustained and focused messages, others that falter. But each effort loosens the soil, making a little more room for media that nourish hope and dignity rather than perpetuate violent conflict and infamy. Look ahead to the June edition of The Peace Correspondent, highlighting the work of Colorado State University students. These novice writers feature articles in four categories: Take Another Look, longstanding conflict and new perspectives; Heart to Heart, conversations on challenging topics; On Our Minds, where news media and mental health intersect; and The Peace Correspondent’s regular column Spotlight on Solutions. Go in peace, friends, spring is here. Elissa J. Tivona is a renegade journalist who believes media can be part of the solution to achieving sustained peace. She helped establish the Peace and Reconciliation minor at Colorado State University: and she developed the innovative curriculum for the program’s core course, Education for Global Peace, as well as curriculum for a new Journalism offering at CSU, Journalism, War and Peace. Along with her work as an educator, Tivona writes for both academic and popular publications. 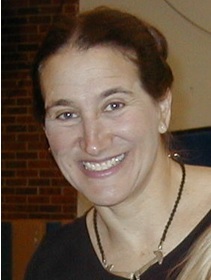 She is an active volunteer, including: serving on the Board of Writing For Peace; vice-president of the United Nations Association, Northern Colorado Chapter; consultant to Tiyospaye Winyan Maka, an NGO building sustainable homesteads and right livelihoods in collaboration with the Lakota people; and longstanding convener of multi-faith peace advocates in Northern Colorado. 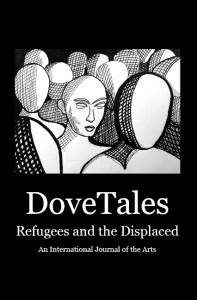 The fifth edition of our annual literary journal, DoveTales, An International Journal of the Arts, will be released on May 1st. Our “Refugees and the Displaced” themed DoveTales is a timely affront to a status quo comfortable with the suffering of others. With contributors from every continent on the planet except Antarctica (we’re working on that), this is a book that is meant to challenge assumptions and explore issues of peace, social justice, and our responsibility to our fellow man. Cover art is by Canadian artist, Allen Forrest. Watch for more information as it becomes available in the next few days on our website, and mark May 1st on your calendar! Results are coming on our 2017 Young Writers contest. Announcements will be made on May 1st here in our blog. Stay tuned for the excitement! Copyright © 2017 Writing for Peace. All rights reserved. This entry was posted in Board Contributors, DoveTales, Elissa Tivona, Peace, Peace Correspondent and tagged Announcements, DoveTales, Elissa Tivona, Peace Correspondent. Bookmark the permalink.